Art beads, jewelry-making and handcrafting a business. Welcome to the ABS Ornament Blog Hop. I'm so excited that you've joined us for the 3rd annual event. It's no secret that I'm a Christmas nut. Jess and I have had a tradition since our early newlywed days (almost 20 years ago) that we make ornaments for our tree each year. Jess was busy crafting paper ornaments this year and I have been having fun with felt, beads and clay. Everything has a handcrafted, woodland motif which goes nicely with the birds, nests, pine cones and snowflakes that we've been collecting and making over the years. Grab a cookie and let's get this ornament party started! 1. Roll out the clay on the thickest setting of the pasta machine or to an 1/8" thick with a roller. 2. Cut out the leaf shape with a cookie cutters. 4. Bake the clay according to the manufacture's directions. 5. Apply a think layer of glue in the white/negative spaces of the stamp, sprinkle on the glitter and let dry. 6. Pull the wire through the hole and create a wrapped loop around the top of the ornament. 7. String on the polymer clay bead and beaded bead. Create a large wrapped loop at the top. 8. Tie on the ribbon. Why original Sculpey clay? I don't recommend this clay for many projects, but this one has a very porous nature that reminds me dough ornaments and a nice off-white color. You'll find it in a large box where they sell Sculpey III. This will keep the ornaments matte, non-plastic looking and more like a natural piece of clay. Clay, beaded beads, glitter, ink and stamps: Michael's. Polymer clay bead: Humblebeads. Grab another cookie and head on over to see what the other creative designers whipped up for the ornament hop! 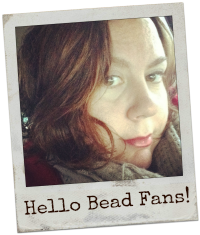 Humblebeads - you are here! Oh wow Heather! I absolutely can't wait to see the finished article! OMG Heather they are beautiful. I just love the holly berry touch at the tops too. I'd have to display them all winter long! I'm thinking with a change of leaf shape and color palette,I could make a set for every season . OOooh pretty. I especially like the bird! Heather, not only are your ornaments beautiful and unique, but you've told us how to make them too!? Fantastic. Beautiful and thank you so much for hosting AND the tutorial! The ornaments you created are really beautiful! I love that you and Jess have a tradition to create ornaments each year, makes the holiday even more special. Thank you for including the tutorial; I recently started working with polymer clay and am enjoying learning the various techniques. Happy holidays to you and Jess! 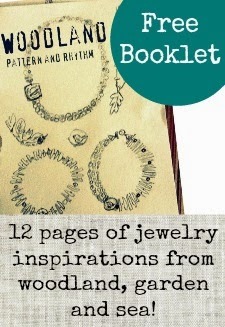 Gorgeous, as are your ornaments on the ABS blog! I happen to have a couple of 3.75 lb boxes of the white Sculpey at home. I'll have to give this a try! Merry Christmas to you in your new home! OMG, so sweet and sparkly, Heather, I bet they are even lovelier catching the light on a tree! Lori, thanks for the idea; I also have those larger boxes of the old Sculpey which I had stopped using as it is so much softer, and more brittle when baked, but ornaments would be a fantastic use for it! Ugh. Lost my comment. Recreate. I love everyone of them! The little sparkle you added just made them perfect. Gonna have to give them a try! I love these Heather! And, of course, it sets my mind to racing! I too have many, many cookie cutters!!! I love all the things you make. This year the beads and ornaments have been exceptional. glorious, beautiful and oh so lovely. Those are amazing. Really impressive as a set for a great gift. 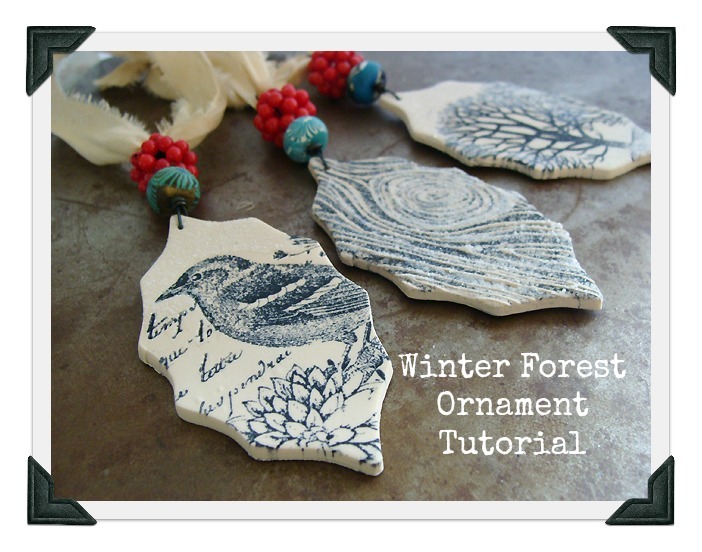 Thanks for a great tutorial, Heather, those are beautiful ornaments. I've been thinking about playing with some polymer clay with my kids, and this looks great. Thank you for sharing - these are gorgeous! Beautiful and so elegant. They remind me of transferware dishes. Thanks for sharing the tutorial. Oh my, these are truly spectacular...LOVE them! These are great Heather! Also, thanks for posting the tutorial! Bless you, Heather, for generously sharing the ''recipe'" for these wonderful ornaments. I have some in my toaster oven right this minute for sweet little gifts for friends and family. Can't wait to paint them with a bit of snow glitter. So pretty. The ones you shared are beautifully peaceful. Thank you for organizing this year's ornament blog hop. Happy Holidays! Incredibly beautiful. Thanks for the tutorial. Gorgeous! Thanks for the directions! 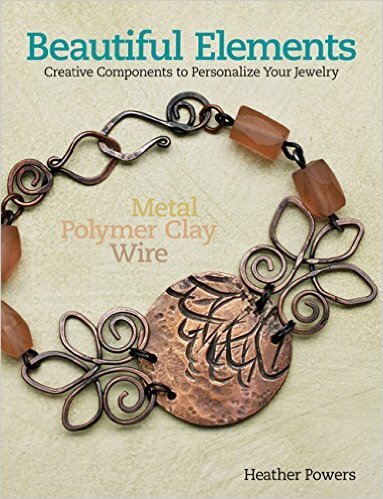 Hi, I'm Heather Powers - beadmaker, jewelry designer and author. Inspired by nature, charmed by my small town life and in love with all things handmade! Sign up for my awesome email list and instantly download your free booklet!